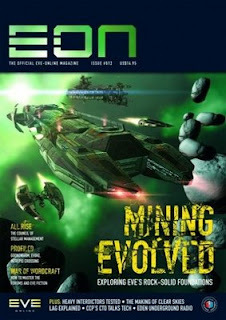 CrazyKinux's Musing: EON Issue #012 should be here any day now! Got my copy today ! Very fast this time ;). Just reading your article on mining and it's very nice. I noticed Phoenix Labs was mentioned so I checked who wrote it and lo and behold, it's the guy from that blog ;). Oh, man, I want that poster. But it is for "subscribers only," which I guess means it shall not be. @Morph - Thanks mate. Lucky to have gotten yours already! @wilhelm2451 - See, another great reason to subscribe.